Uh, so, Elon Musk is currently in an argument about a farting unicorn. Yes, it’s a little odd. Here’s what’s going on. A 61-year-old artist called Tom Edwards drew a mug of a farting unicorn back in 2010. On the back it says "Electric cars are good for the environment because electricity comes from magic". Musk, CEO of electric car company Tesla of course (who's also celebrating his birthday today), apparently quite liked the mug. Because in February 2017, he posted a picture of it on Twitter. Note: Musk has now deleted all of his tweets regarding this issue – but there are still screen grabs available. Turns out he REALLY liked that drawing. 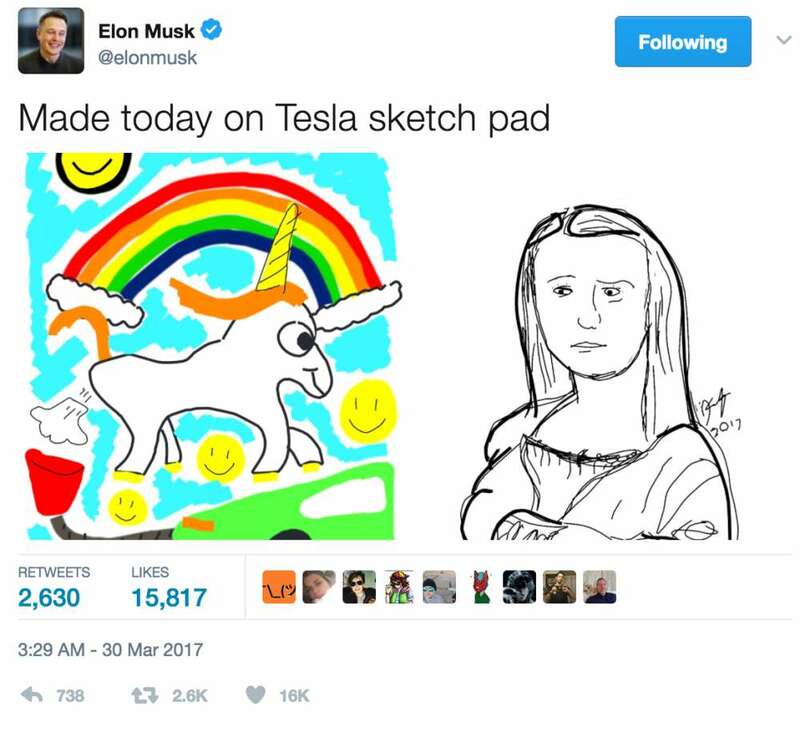 Because in March 2017, he tweeted the image again, but this time it was drawn on a Tesla sketch pad, a hidden feature in the car’s dashboard. He even apparently included it in a company Christmas card. With us so far? Okay, great. 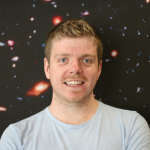 In an interview with The Guardian, Edwards said: “I love the fact that it’s in the cars.” But he’s not so happy that he apparently hasn’t been paid at all for his work. And now he’s got a lawyer involved to sue for copyright violation. Seems pretty simple right? Just pay the guy. But, well, Musk appears to have got himself embroiled in an argument with the artist’s daughter, Lisa Prank, on Twitter. She started by saying Musk had “ripped off” her Dad’s work. Musk countered in a now-deleted tweet by saying the picture was “chosen randomly” by his software team, and would be happy to change it. 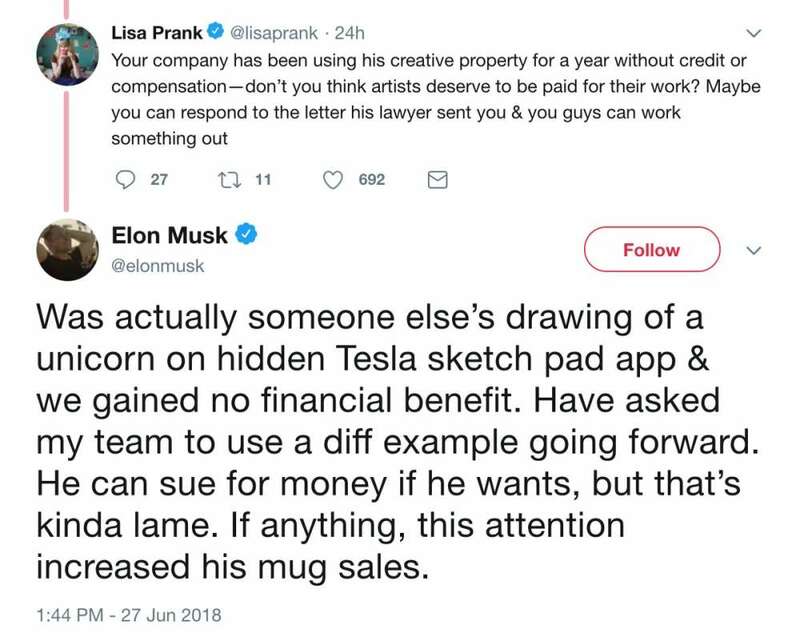 Prank responded, though, that Tesla had been using the “creative property” of Edwards for a year, and he should be compensated. 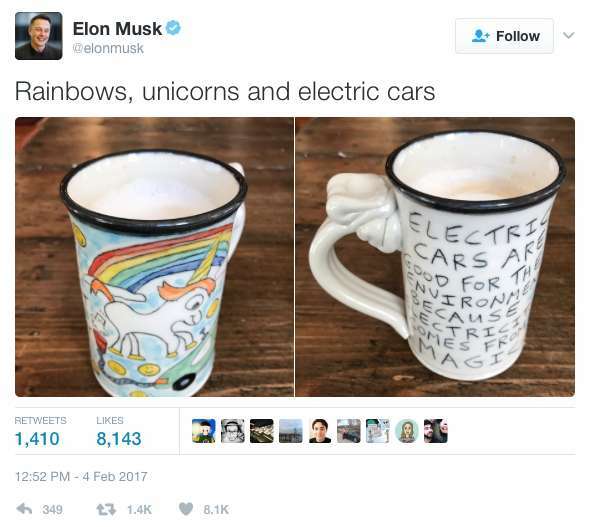 Edwards did tell Westword, a local newspaper in Denver, that Musk’s original tweet in February resulted in him selling 100 coffee mugs. But he’s still not impressed that the image has been used so widely by the company. So, how is this all going to get resolved? Who knows. Edwards said he was still waiting for Musk’s lawyer to respond to his letter. Musk seems pretty adamant that he’s willing to pay. Hopefully, we’ll all get to enjoy farting unicorns in peace again soon.